Following hard on the heels of BBE delving into the archives of Detroit’s Strata Records and delivering their widely acclaimed and hugely in-demand exploration of J-Jazz, comes another crate digger’s delight- Ralph Thomas’ ‘Eastern Standard Time’, which dropped in the USA back in in 1980, on the obscure Zebra Jazz imprint. LA based DJ, producer and music supervisor Mathieu Schreyer discovered this gem for BBE. This is the is the kind of “spiritual’ jazz gem that appears on You Tube and upon checking it out on Discogs reveals a price well in excess of £150.00. To have it widely available in its original vinyl format, as well as digitally and on CD, is a real treat. So, who is Ralph Thomas? The self-produced Eastern Standard Time features Thomas on baritone, alto and tenor saxophones as well as flute and percussion. He describes himself as a practicing ethno- musicologist who’s musical vision evolved during the Sixties and it’s Thomas’ multifaceted, global approach that gives the music on Eastern Standard Time an engaging and distinct flavour. “My music has always been open to different cultures and sounds Afro-Cuban, Brazilian, Mexican, Peruvian, American, Hebrew, Turkish, African, Indian and Japanese,” declares the Chicago born musician. While attending the Chicago conservatory of music in 1969 he became a member of the Chicago A.A.C.M, studying with master musicians Phil Cohran and Richard Muhal Abrams. He also recorded with well-known blues legends, Howlin’ Wolf and Mighty Joe Young for the Cadet imprint of Chess records. In 1974, he moved to Los Angeles and was employed as a session player with both 20th Century Fox and Motown – where he recorded with Marvin Gaye, Jermaine Jackson, Smokey Robinson and Rick James. In the early Eighties he was working for Quincy Jones Productions appearing on the soundtrack of Roots and The Color Purple but a passion for reggae music led him to Jamaica where he recorded with producer Jack Ruby and artists like Augustus Pablo and Gregory Isaacs. After a productive stint in Chiang Mai, Thailand – where he immersed himself in Issan culture – Ralph Thomas recently re- located back to the US to live and work. 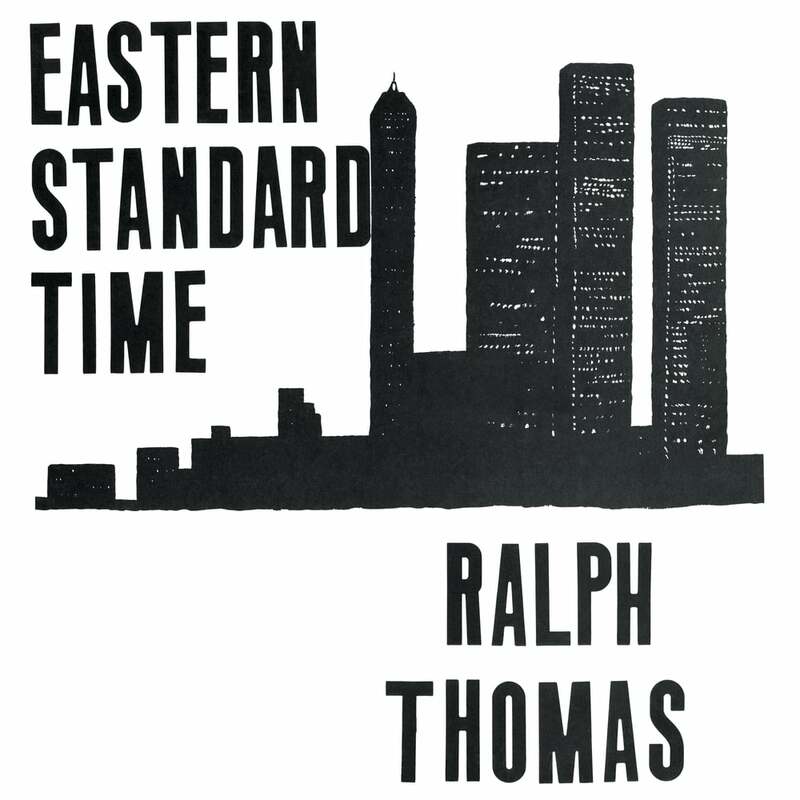 Though creating a huge amount of music over the years Eastern Standard Time remains Ralph Thomas’ only album.